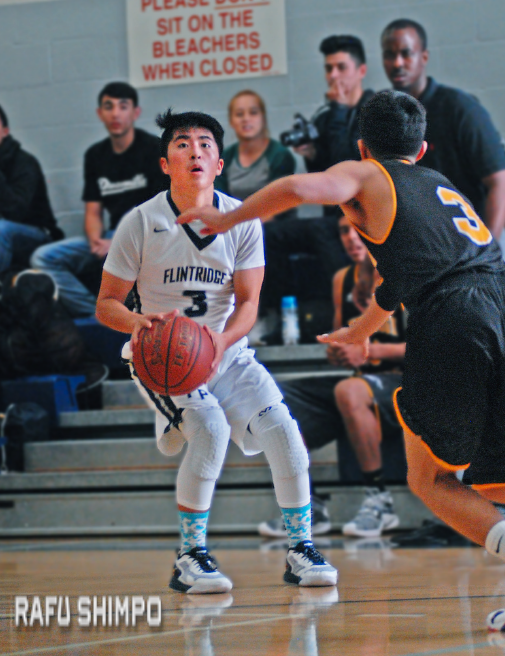 Flintridge Prep is sprinting to the postseason with its own brand of high-tempo basketball. 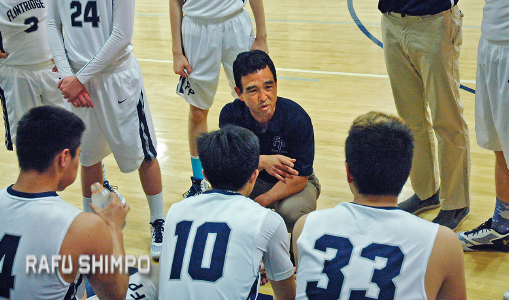 LA CAÑADA.–You’ll forgive Flintridge Prep junior guard Kendall Kikkawa if the name Jerry Tarkanian isn’t instantly familiar. After all, Tark’s famed UNLV Runnin’ Rebels teams were all the rage in the late 1980 and early 1990s – a generation before Kikkawa was born. “I’ve heard of them, but I’ll admit I don’t know that much about them,” the 17-year-old said. Kikkawa and his Rebels might find plenty of comparisons to their UNLV namesakes in the days ahead, if the continue to streak past opponents the way they did on Tuesday night, a 75-48 runaway victory over visiting Firebaugh. Faster is precisely the strategy the Rebels put forth on Tuesday, and Firebaugh was the hapless victim. Prep led in all but a brief period of the first quarter, but it was in the third period that the runnin’ kicked in. In outscoring their opponents 19-4 in the period, the Rebels had only a single possession in which they made more than three passes before taking a shot. Flintridge’s version of the Runnin’ Rebels has done a fine job of keepin the tempo high through the season. They were a perfect 8-0 to claim the Prep League championship, one season after finishing dead last in the standings and taking a quiet exit in the first round of the CIF Southern Section playoffs. This year, as the adage goes, is a completely story. The Rebels are 17-4 overall, and head into the playoffs next week firing on all cylinders. Despite having their place in CIF all sewn up, Ohara resisted the temptation to have his starters rest on Tuesday, in a game that ultimately wasn’t much of a challenge.